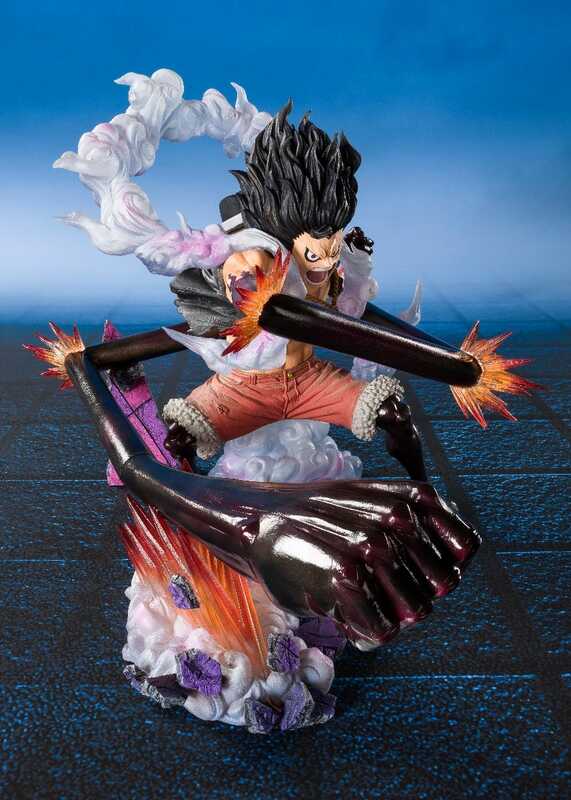 Monkey D. "Straw Hat" Luffy is a fictional character and the main protagonist of the One Piece manga series, created by Eiichiro Oda. 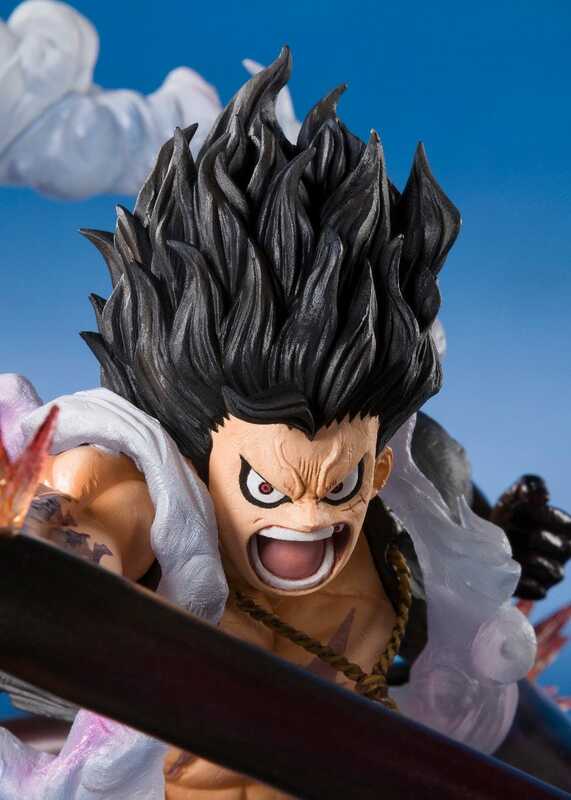 Luffy made his debut in One Piece chapter #1 as a young boy who acquires the properties of rubber after inadvertently eating the supernatural Gum-Gum Fruit. 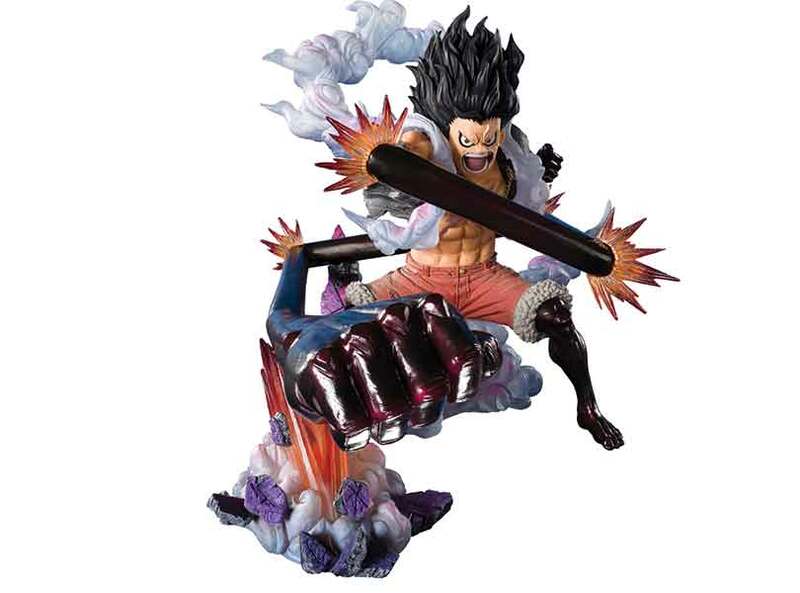 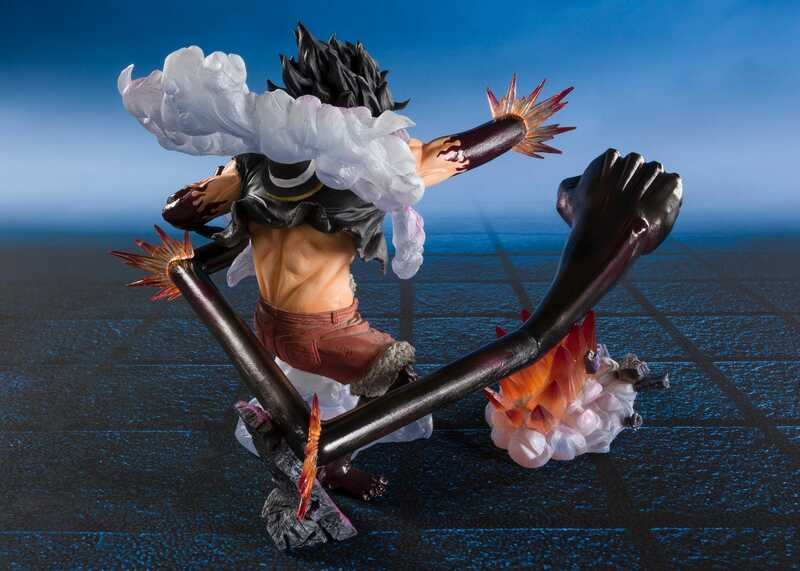 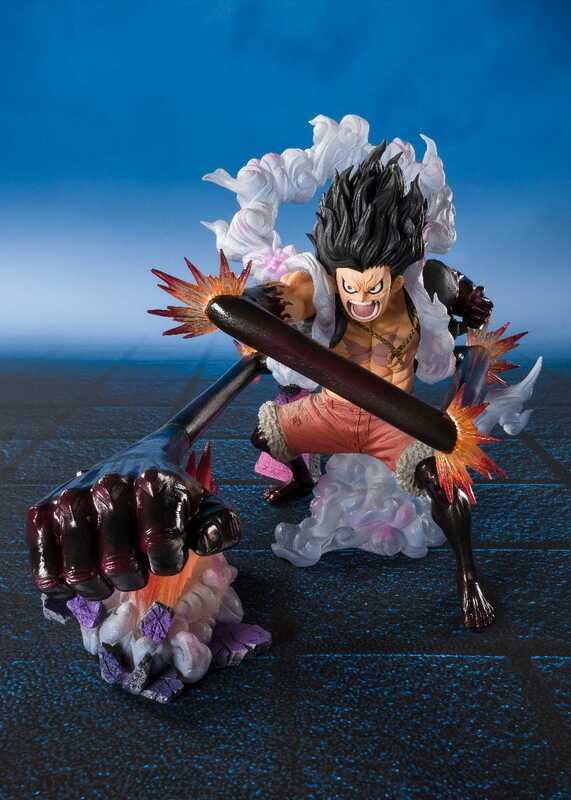 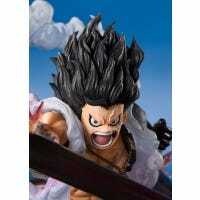 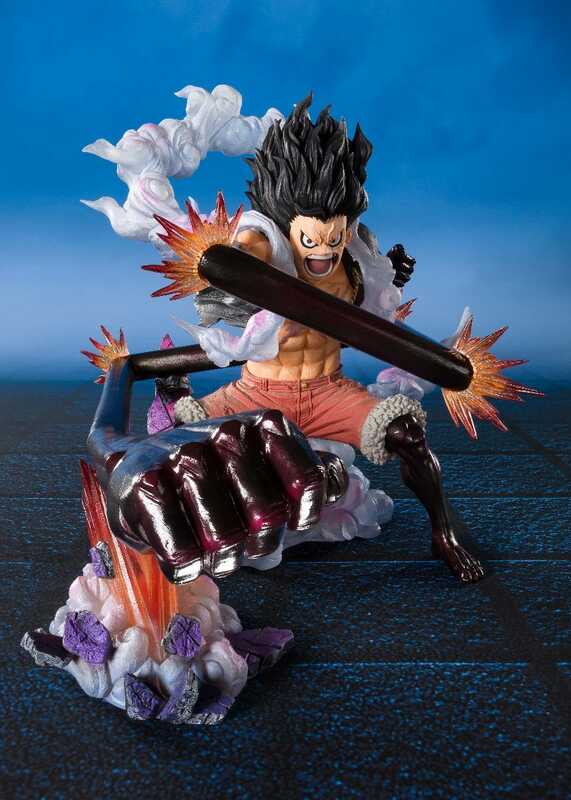 Gear Fourth is a technique first seen in Luffy's battle against Donquixote Doflamingo. 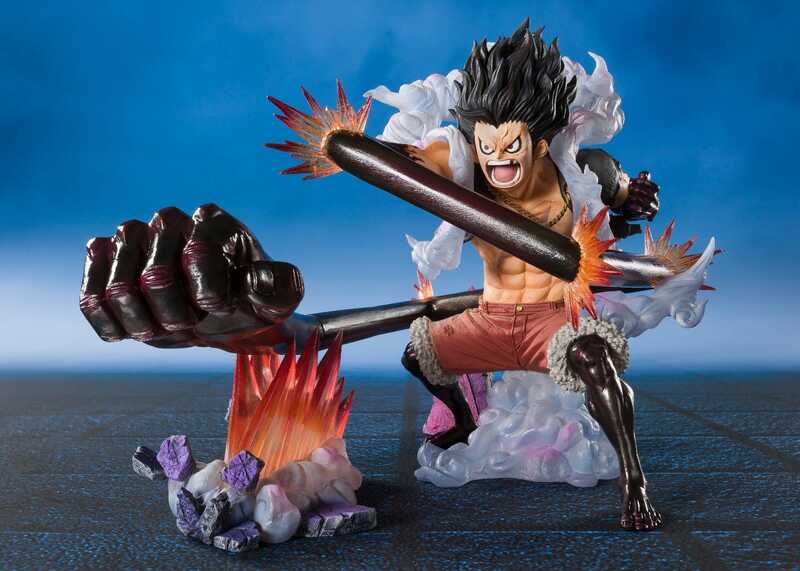 It was developed by Luffy during his training on Rusukaina.